There is little doubt that Hoodia Gordonii has been one of the most important discoveries to the weight loss industry – but controversy, myth and untruth often surrounds this magical natural substance. The fact of the matter remains that is Hoodia is neither myth nor magic. It was in the mid nineties (1990’s) that reports started to emerge in the media that a natural substance had been discovered that could effectively suppress appetite, did not cause a side effect and could be taken regularly without fear of addiction. This substance was of course Hoodia Gordonii – known more formally nowadays as just Hoodia. It is thought that BBC correspondent Tom Mangold was the man responsible for bringing this natural substance to public attention. His report from Southern Africa detailing the nomadic San tribes people and how they coped with surviving many days without food with the help of their indigenous cactus like plant and its appetite suppressing qualities. Other high profile exponents of the Hoodia phenomena have been US news networks CNN and ABC as well as chat show queen Oprah Winfrey. The following should hopefully answer the questions and dispel the rumours and untruths that seem to be attached to this South African plant. An ugly looking cactus like plant (a succulent and not strictly speaking a cactus) that grows in inhospitable, unforgiving and arid conditions of the Kalahari Dessert (South Africa.) There are other species of the Hoodia plant but it is only the Gordonni variation that has any appetite suppressing properties. In comparative terms, it is a recent discovery – the first world has been aware of this plant and its benefits to human health and weight reduction for just over a decade. It was South Africa’s best and now worst kept secret. The San tribes men of the Kalahari region have been using the Hoodia plant for centuries to suppress their appetite whilst away for days on long hunting trips while food was scarce. It is quite ironic that a plant that grows in an area where food is scarce can be used to combat the results of overindulgence where food is plentiful. Contrary to popular belief it is not the Hoodia Gordonii plant itself that is beneficial to anyone wanting to lose weight, nor are the several other substances found within the plant. It is just the one tiny substance from the plant – known as p57 or the p57 molecule. Introducing the p57 molecule to the body will greatly diminish the want for food and decrease the appetite. Decreasing appetite is an effective way to cut down on the size and frequency of food portions. The result of this is a reduction in body mass, body fat and ultimately, body weight. The theory behind this has been put into practice for thousands of years (by the Sans tribesmen – although weight reduction was not the intention) and is incredibly simple. This is no magical weight loss solution nor is a scientific or medical discovery, more natural effect. If our body can acclimatise itself to expect and consume less the results are obvious. There are not many products or substances with the history and longevity of Hoodia. Legitimate, natural and genuine powder from the plant will cause no ill effect – it is also a non addictive substance and can taken or left at will. One possible side effect (although not necessarily a negative one) is a mild feeling of sexual arousal. 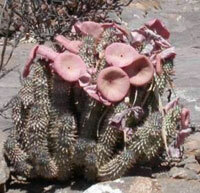 Hoodia has often been described as an aphrodisiac. 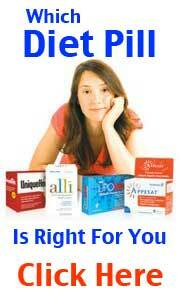 The best method of introducing the appetite suppressant into your body is via a diet pill (usually a capsule.) Although there are are now several other delivery methods such as slimming patches, slimming drinks and even slimming sweets – it is the capsule that offers a greater and more potent effect. You will start to experience a reduction in hunger and a feeling of fullness after 48 hours if you are taking the recommended three capsules a day 45 minutes before each meal. A perfectly natural substance that can be used in collaboration with other diet products – although it is not necessary to use another appetite suppressant. 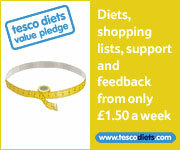 Pregnant or nursing mothers should avoid – all diet products should be avoided whilst pregnant or breastfeeding. No – Hoodia is designed to naturally shrink the stomach by suppressing the appetite. Once the brain has got used the decrease in food intake it will not suddenly start to crave a larger food portion when you have stopped taking Hoodia. There are genuine Hoodia diet pills – and the not so genuine. The Hoodia Gordonii plant is now an endangered species and so has to be grown, harvested and distributed under strict guidelines. Legitimate or genuine Hoodia Gordonii will carry certification of authenticity, a certificate of origin and most importantly a C.I.T.E.S Certificate. A huge majority of Hoodia branded diet pills do not use CITES certified, genuine Hoodia. 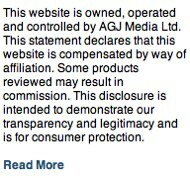 Hoodia powder is the real article, anything else is not. Hoodia extract should be avoided. There are dozens of Hoodia branded diet pills available to buy on the web and in health food stores – this is where the controversy really starts. It is estimated that 80% of all Hoodia branded products do not contain the natural p57 molecule or use a pharmaceutical synthetic replica.